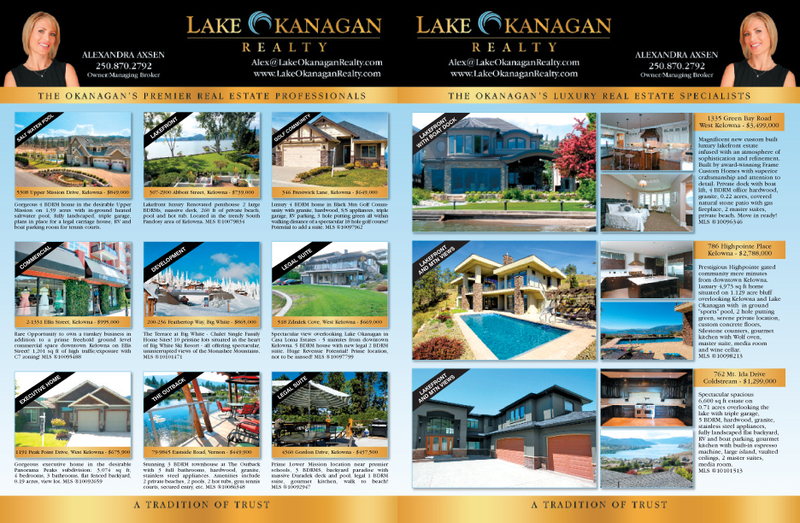 Homes & Land - July 2015 - Best of the Okanagan! I just sold this Condo at 101 - 625 Rowcliffe Avenue, Kelowna South, Kelowna, BC Kelowna South. Alexandra Axsen of Lake Okanagan Realty has agreed to donate $1,000 from every deal closed in June 2015 to Kid's Care Okanagan. I just sold this Half Duplex at 2929 McAllister Road, Glenrosa, West Kelowna, BC Glenrosa. Accepted Offer - 3370 McMorland Road, West Kelowna, BC. Accepted Offer - 3370 McMorland Road, Kelowna, BC.